Rare opportunity to purchase prime development property at Ridgewalk Parkway and Outlet Mall of Woodstock. 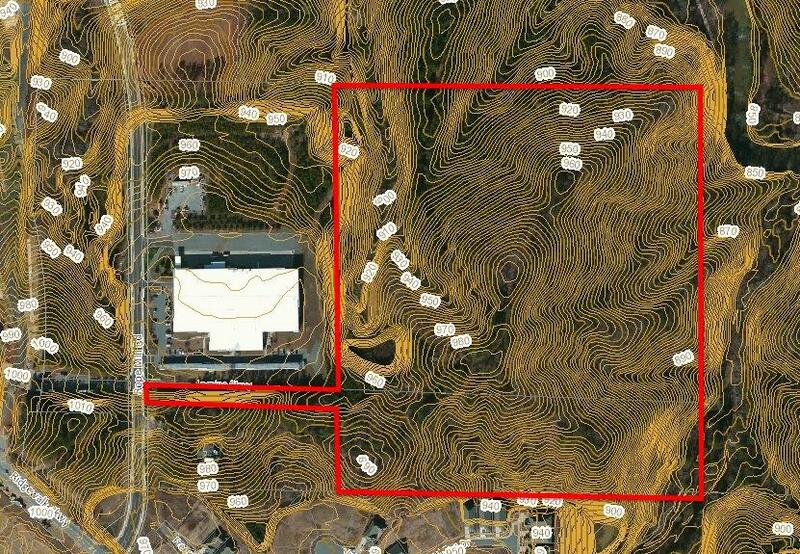 * 39.5 acres located within the City of Woodstock. 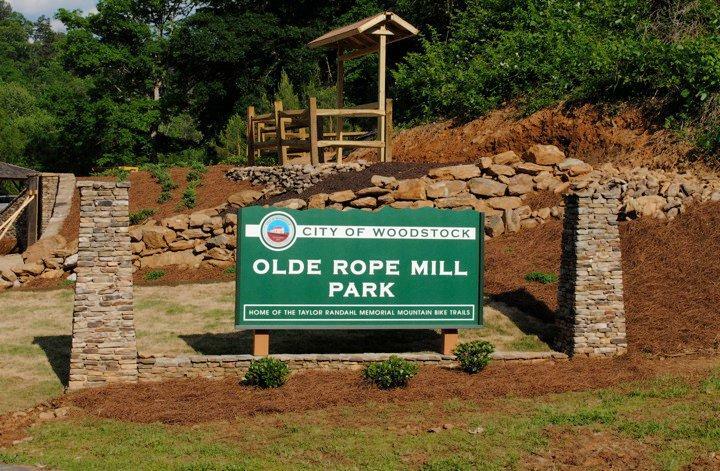 * Located at Ridgewalk Parkway and Olde Rope Mill Road. * Directly across the street from Woodstock Outlet Mall. * Easy I-575 access and walking distance to shops, restaurants, and Woodstock City Church. 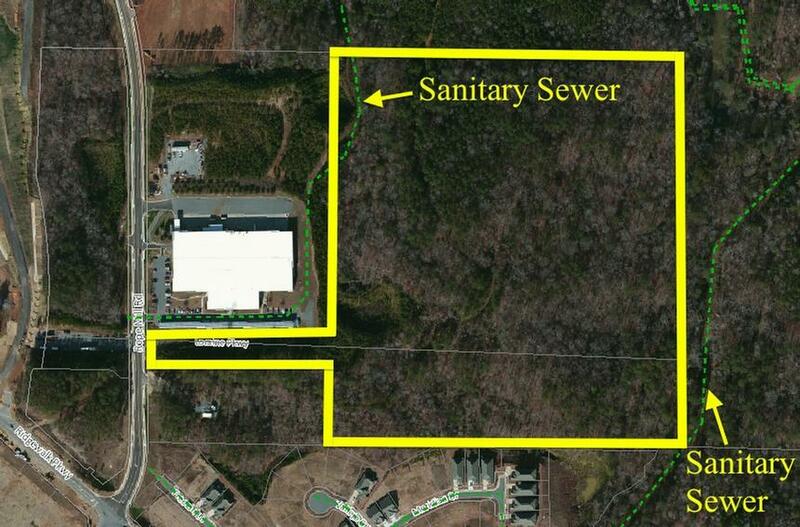 * All utilities including gravity sewer located on site. 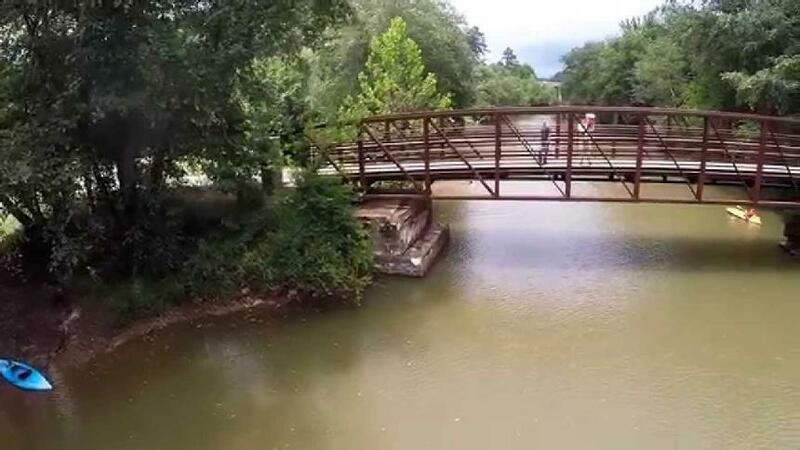 * Property adjoins Corps of Engineers land and Woodstock Olde Rope Mill Park with Little River access and miles of established mountain biking trails for outdoor recreation adjoing the site. 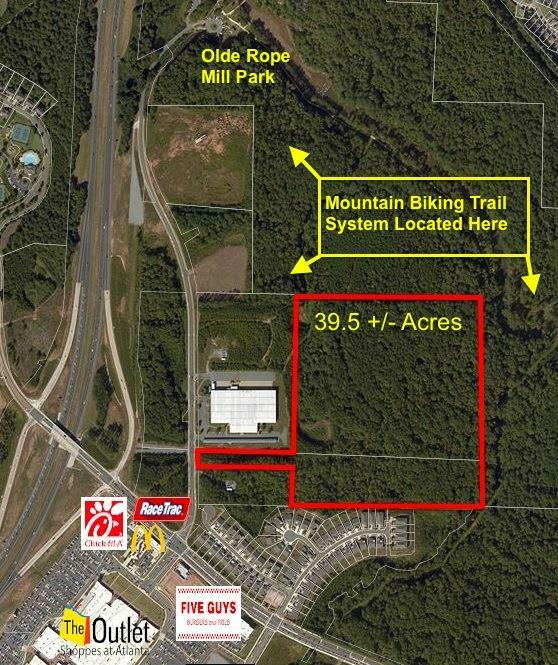 * Additional acreage available for mixed-use development. 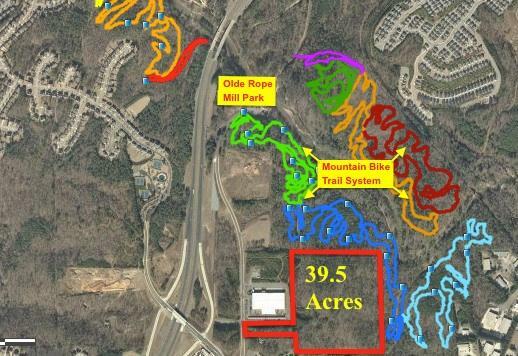 Full Trails Map for Mountain Biking at Olde Rope Mill Park can be found by clicking HERE.